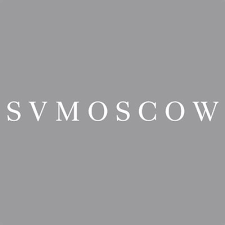 Find here SV Moscow coupons, vouchers and deals. SV is a point of reference in avant garde fashion. It was marked as one of the 10 best new concept stores in the worldby Vogue.fr. Now we operate internationally and have a worldwide express delivery. SV brand list features: Balenciaga, Fear of God, Vetements, Comme Des Garçons main runway lines (from CDG and CDG Homme Plus to Junya Watanabe), Ann Demeulemeester, Yohji Yamamoto, Damir Doma, Rick Owens, Maison Margiela, Haider Ackermann, Raf Simons, Marni, The Row, Yang Li and Undercover. SVMOSCOW offers 1000s products from the best avant garde designers from the globe which create buzz among customers and medias.